This SERVANT OF GOD bracelet floats around the bracelet. It is shown with THREE spacer beads. 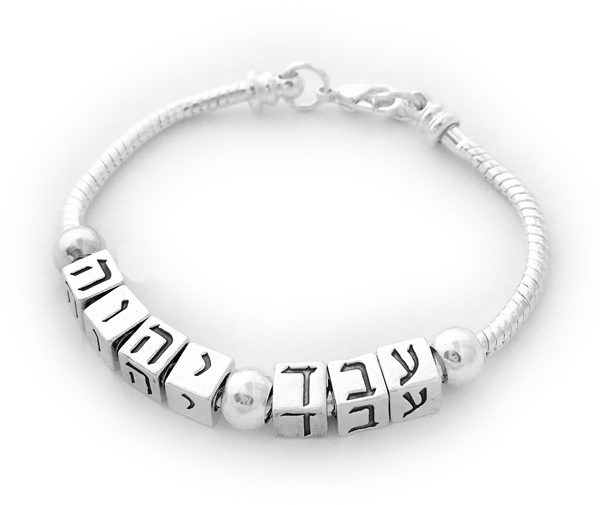 The bracelet shown is silver plated. I do have a sterling silver option (below). The block letters and spacers beads are .925 sterling silver. You may put any message you would like on this design and it comes in multiple sizes.